Climbing into the forest on Mt. Savage, we were enveloped by its earthy-scented warmth. 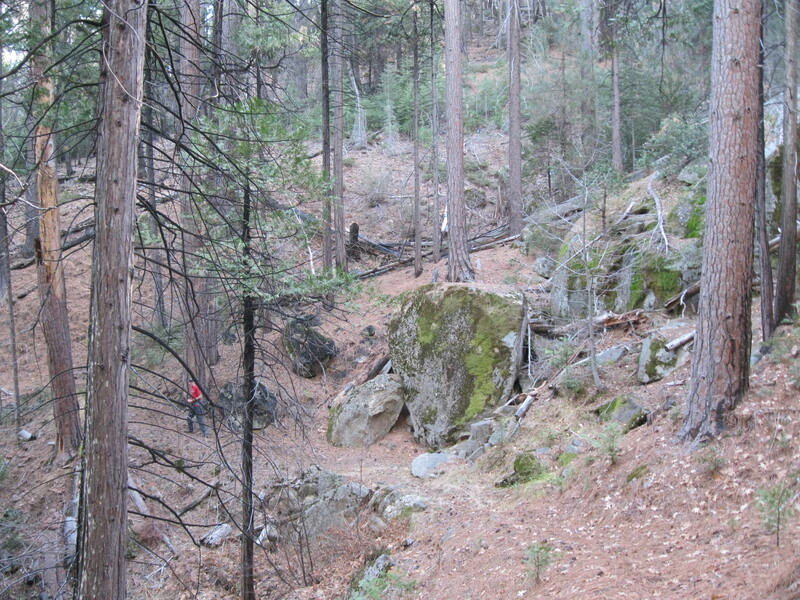 Andrew and I were following the Wawona High Loop in Yosemite National Park. 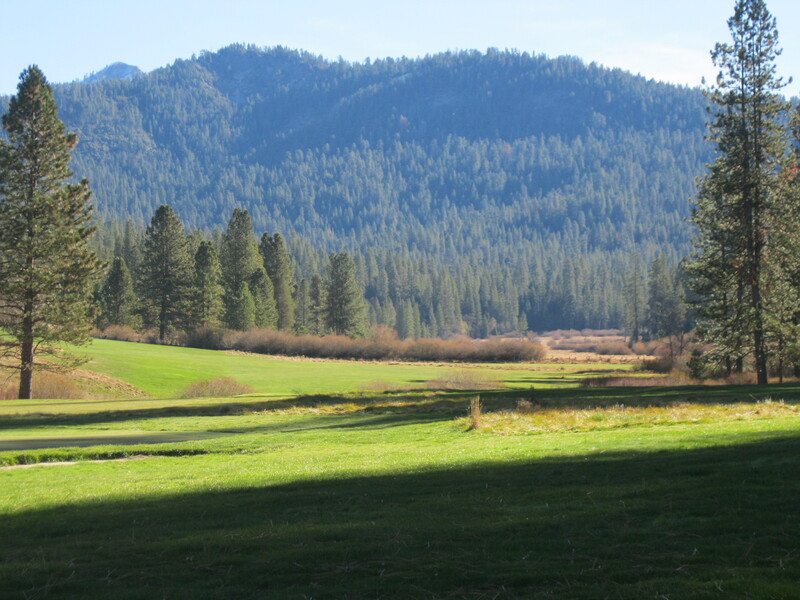 A few years ago we walked the Wawona Meadow Loop, a shorter route that circles the edge of the meadow along the base of the mountain. The high loop took us higher and deeper into the forest. It challenged us to find an unmarked trail before connecting with Meadow Loop. We began by walking on a path through the nine-hole, organic golf course that was built in 1918. 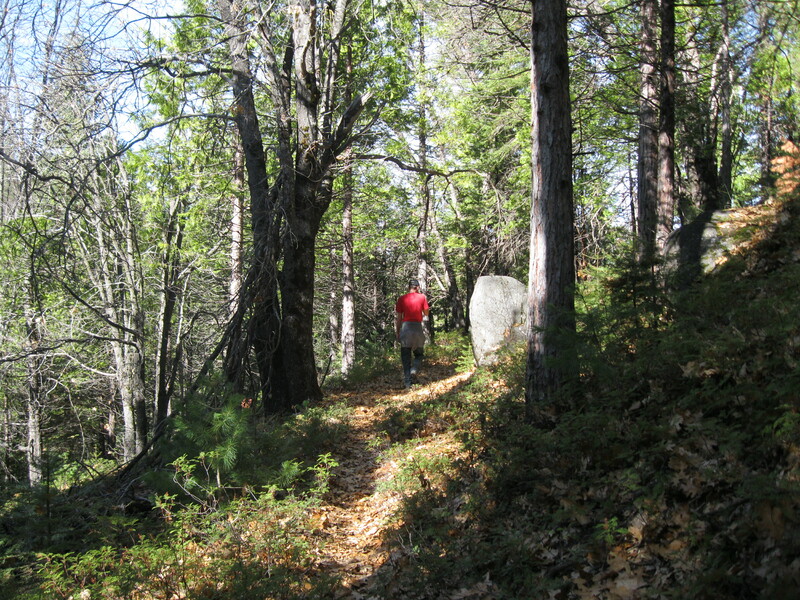 The path is actually the terminus of Chowchilla Mountain Road, a pioneer route into the park. Chowchilla Mountain Road, a toll-free, high clearance vehicle road into Yosemite. Early into the hike I saw at first glance what I thought was a coyote. When it came nearer I realized that it was a friendly dog. Another dog came bounding down the hill and the two of them enthusiastically trotted over to play. They jumped around when Andrew threw a stick for them to fetch. In short time, their owner came around the corner with another dog obediently by her side. She and her entourage made quick tracks down the steep hill. 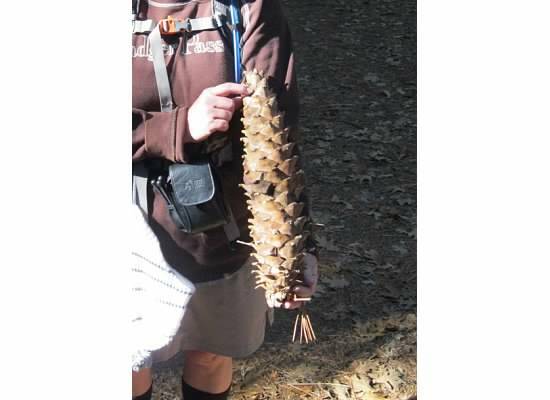 The Sugar Pine Cones in the forest were huge. Inside the dark forest lie a labyrinth of roads. We kept left at each junction until we were on the rarely used dirt road to Yosemite’s south entrance station. I mentioned to Andrew that I needed a quick break and walked off trail for a moment thinking he’d wait. When I returned, he was gone. I walked for what seemed like quite a while before calling out. 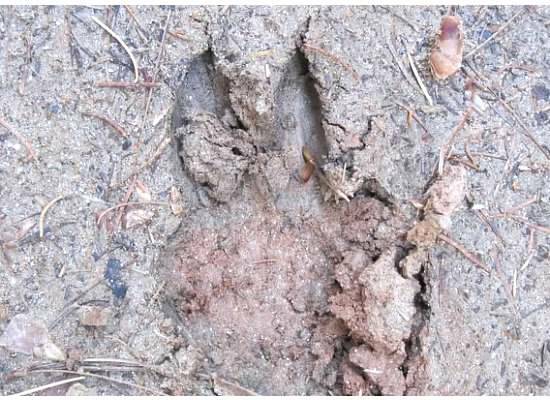 Animal tracks in the mud. “An-drewww,” I yelled, breaking the silence in the eery forest. An-drewww my voice echoed through the trees. I remembered back to when I was four years old. My younger sister and I got lost in the Stanislaus National Forest trying to find the treehouse behind our aunt’s cabin. We walked aimlessly hugging each other, crying and calling for our parents fearing that a bear was going to eat us. We were found an hour later a half-mile from the cabin. 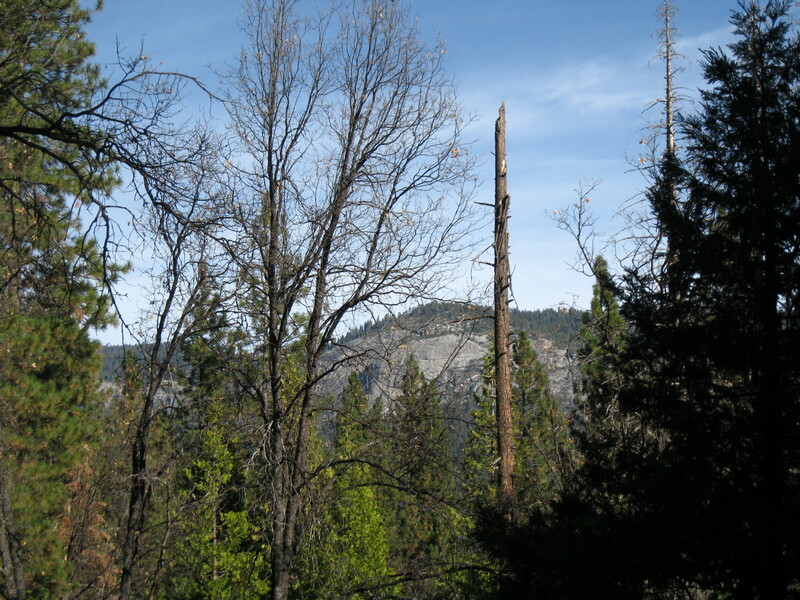 View of Wawona Dome from the trail. It is 1,200 feet higher than Mt. Savage. I hollered again and wondered if Andrew had ventured down the unmarked trail. Did I pass him and not realize it? I found it interesting how anxious I became even though we rarely hike at the same pace and are frequently separated. Then I heard, “Mom!” and breathed a sigh of relief. Soon after I caught up with Andrew, we found the hidden trail which was a narrow path leading away from the road. Brush scraped our legs as we made our way over the hilly terrain. Andrew and I enjoyed this section of trail best. 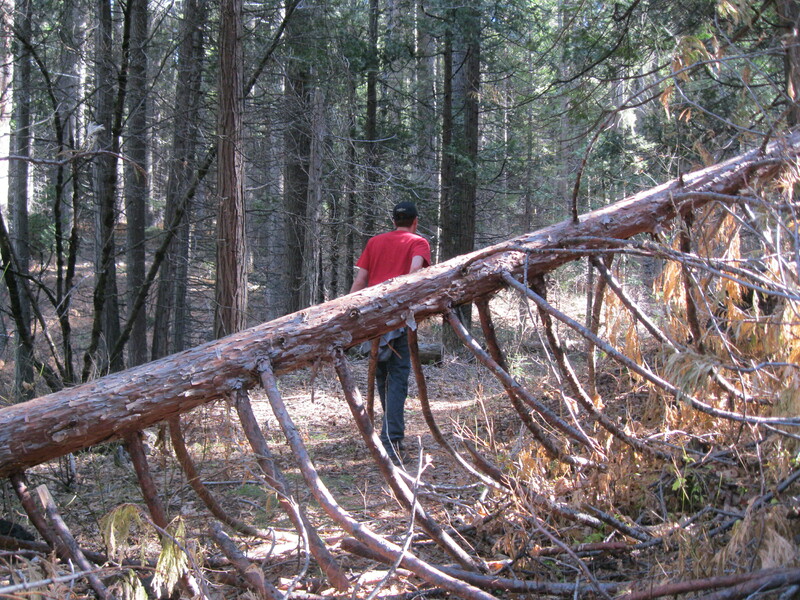 Fallen trees blocked the path on occasion. An obstacle on the path. We walked through a couple of mostly dry stream beds and over one trickling creek, all of which converged in Wawona Meadow. Looking down at Andrew while walking deep into the forest. Twice more we encountered forks in the road and instinctively (or as Andrew would say: by natural internal direction) decided which way to walk. Again my thoughts wandered to being lost until I saw the dormant meadow ahead. We had hooked up with the east end of Meadow Loop and were nearing the end of the hike. 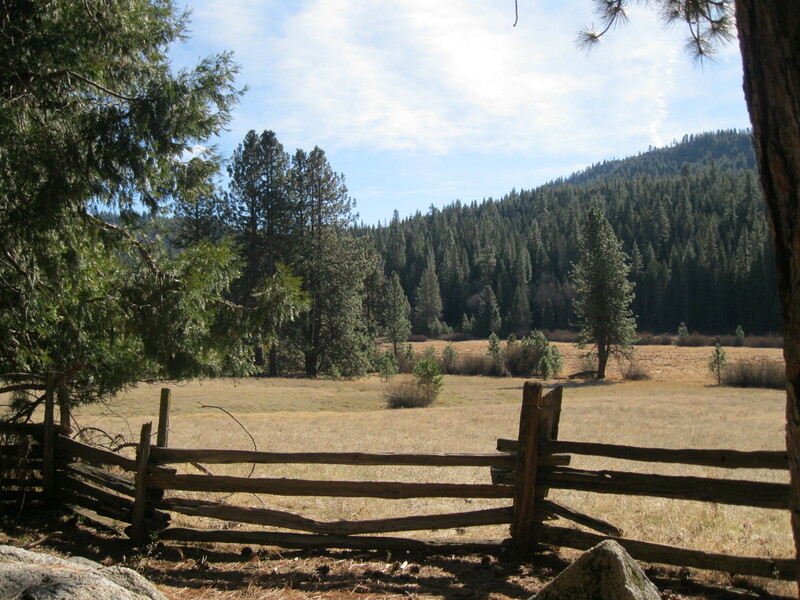 Wawona Meadow is dormant during this time of year. Where the forest meets the meadow is called an ecotone. The meadow was used for grazing sheep and cattle in the 1850s. Remnants of an old split-rail fence still stand in areas. 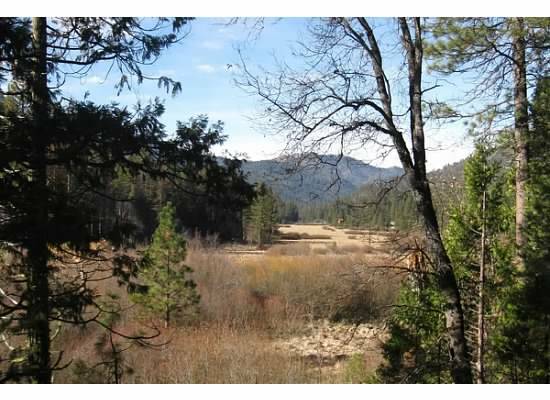 The meadow was also used as an airstrip at one time. From early spring through summer it is filled with wildflowers. The paved route around the meadow. We followed the flat trail skirting the meadow, then crossed the highway and passed the old Wawona Hotel. This was a pleasant hike up the mountain, through the forest and around the meadow. 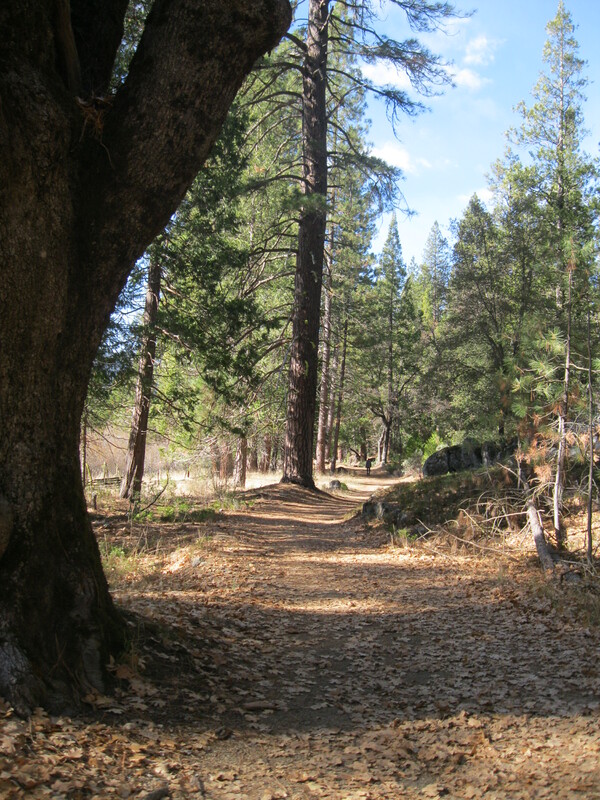 This entry was posted in Yosemite Hikes and tagged Chowchilla Mountain Road, Hiking, Mt. Savage, Wawona Dome, Wawona High Loop, Wawona Hotel, Yosemite, Yosemite National Park on December 4, 2013 by Janet. Wonderful hike with your son. Really enjoyed reading about it and the great pictures. Great pictures, and I like the forest trail. I think that would be more enjoyable to me than climbing the side of a mountain. But I can understand how you could feel uneasy about it after being lost as a child. That was NOT a fun day for any of us. The forest is my least favorite area to hike. I like the high country, wide open spaces, meadows. Love your descriptive writing with the photographs. And how your hikes bring up nostalgic memories. 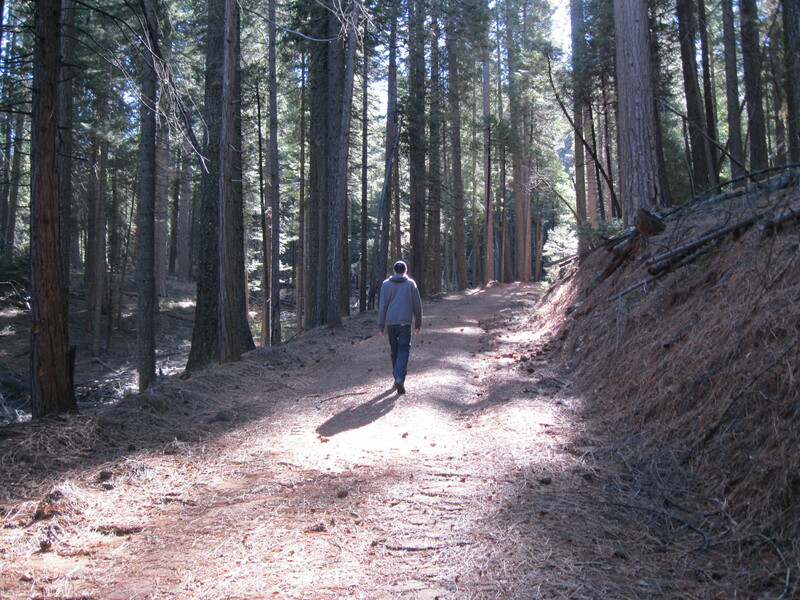 Walking really is one of the most therapeutic and thought-invoking activities. Thank you. You’re right when you say walking is thought-invoking. I find it happens most when I’m on a long hike. I enjoyed the pictures and the description of the hike. What a beautiful area! I’d also be worried it I got separated from the person I was hiking with in an unfamiliar area. Thanks for reading, Sheryl. I wondered if having been lost as a child had anything to do with it. But mostly, I don’t like forests as much as open areas. This was another lovely hike, Janet. I like that old historic hotel. Is it empty now? 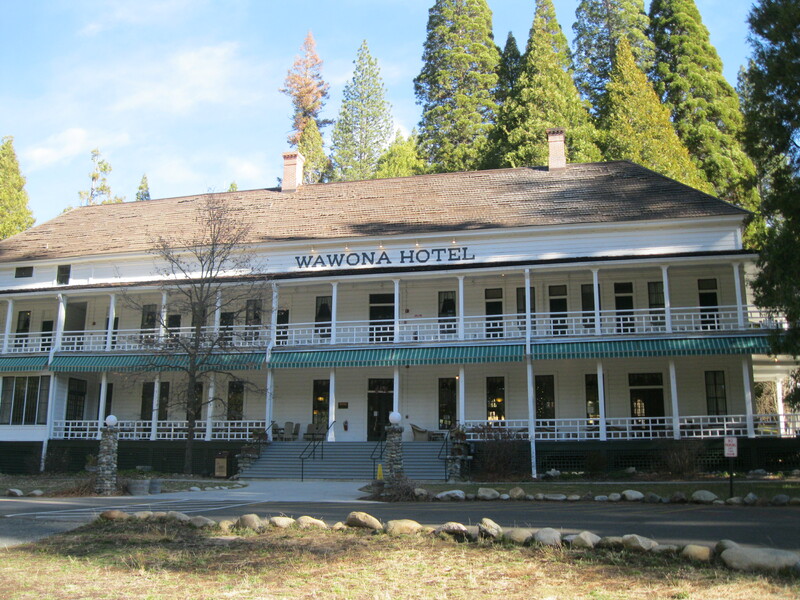 The Wawona Hotel is still open. My husband and I have eaten lunch there once. I wanted to go in and photograph the Christmas tree, but Andrew was in a hurry to get home.